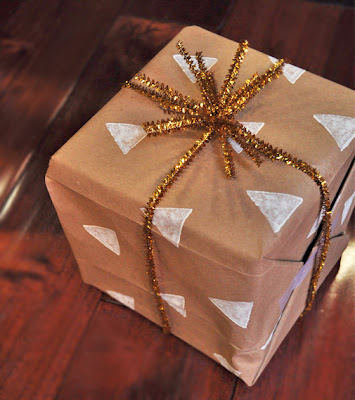 If you are looking for a fun way to personalize a Christmas gift or have just run out of wrapping paper and don't want to head out to the store to get more, here are some cute DIY Christmas gift wrapping ideas. 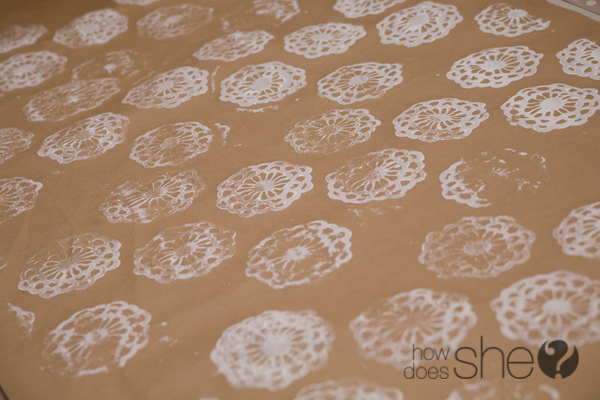 A lot of them are really kid friendly too, like this rolling pin stamped wrapping paper from How Does She, so you can keep the little elves busy helping while you wrap away! I also love this painted graffiti wrapping paper form Warm Hot Chocolate. Kids any age can help with this one if you don't mind the mess! You can use a potato and a paper grocery bag for this fun stamped Christmas gift wrap from Bloomspot. 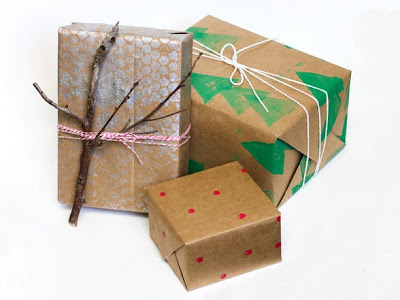 The Neighborhood uses all sorts of fun stuff you probably have around the house like pencils and bubble wrap to make their green gift wrap. 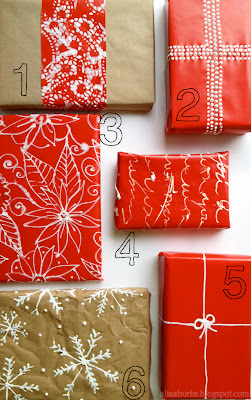 And the very talented Alisa Burke used 3D paints to dress up her wrapping paper. 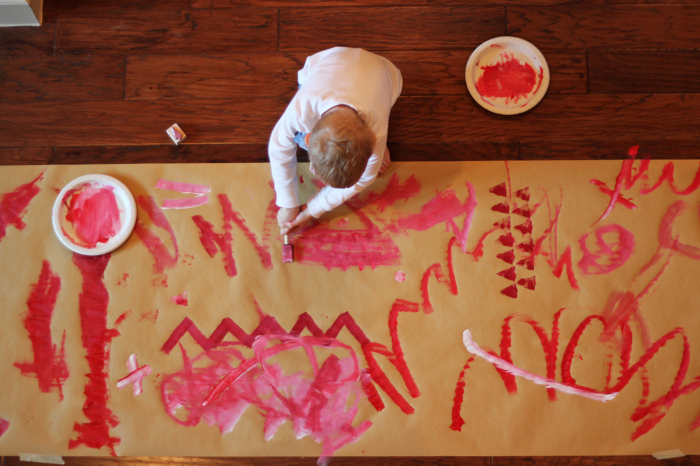 what a cute idea to have the kiddos paint on the paper!